Presentations can get confusing when there are a series of events or anything that requires a timeline is involved. 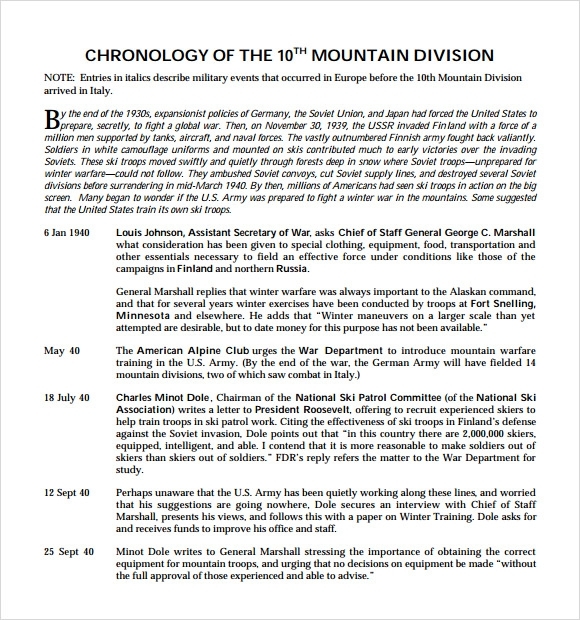 Your word document could be an example of perfection, but if the Timeline Templates is botched up then the whole thing looks like it was made by an eighth grader. That’s where our templates step in and save your day. Designed for and by professionals, use these free Best Timeline Templates to save yourself the trouble of making one from scratch. The powerful customizations mean that half your work is done for you, and the sleek simple designs along with the neat fonts are aesthetically pleasing. Check out the sample and download our templates here to turn your excel or power point presentation into gold. 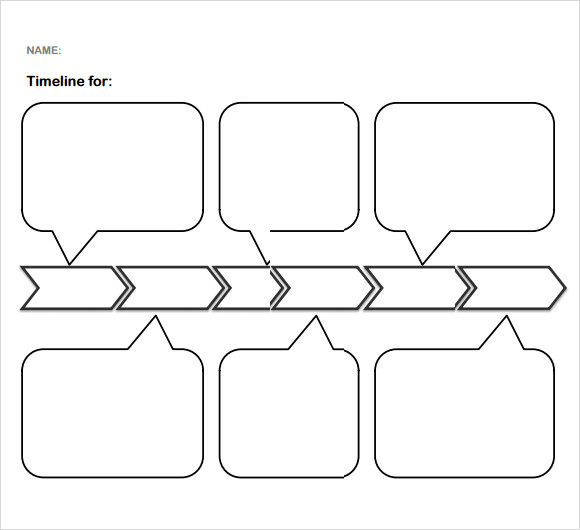 The simple timeline template for kids consists of a really simple timeline. The timeline in the template has boxes in sequence to write the year and the event happened in that year. It also has designated spaces for details like name of the student, class/subject, date and teacher. 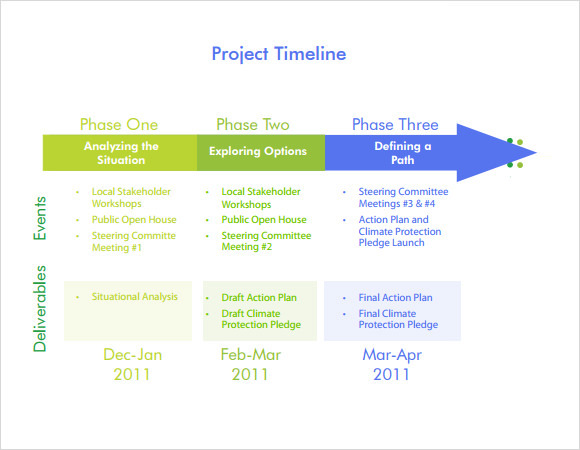 The simple timeline template PowerPoint provides a basic timeline which can be used for projects in PowerPoint. The timeline depicts the past milestones, present situation and future milestones that are yet to be achieved. All these milestones have space for writing the date along them. 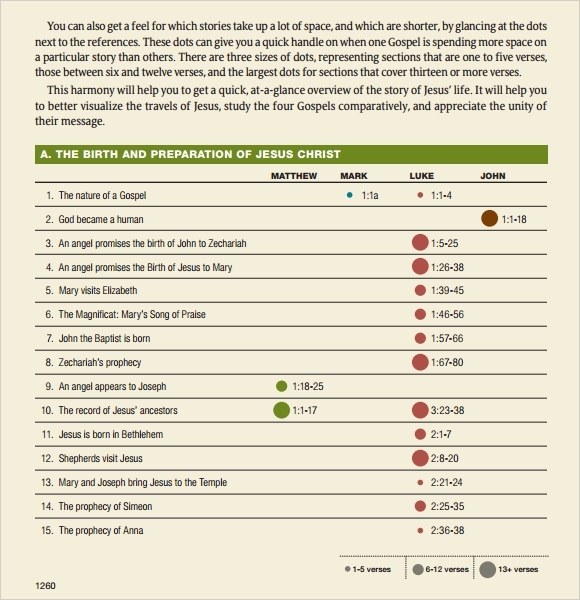 The chronological timeline template provides the timeline in a chronological order. This template comes in word doc file format and easily be downloaded. You can also edit the date and can write the event description below it. 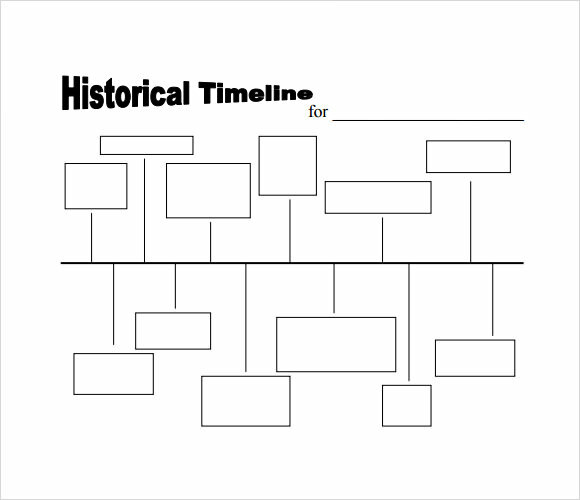 The simple timeline maker template helps you in making a historical timeline. It has designated space for writing the topic name. The boxes to write the events are placed in sequence to make it easy for you to provide the events in chronological order. Why is the Simple Timeline Template Needed? 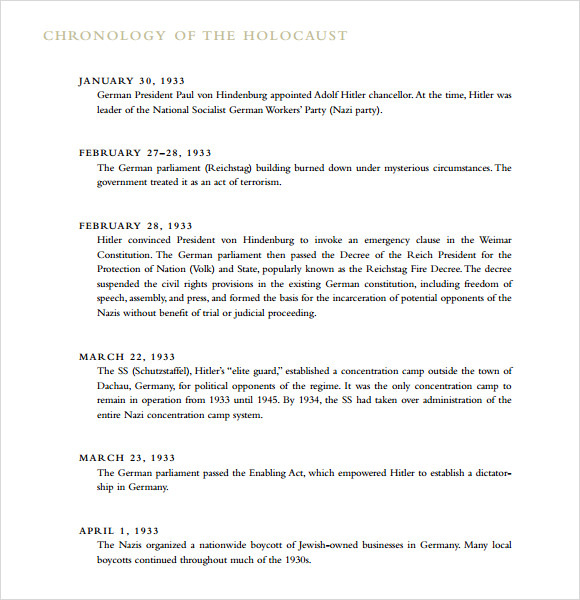 The simple timeline template is needed to present the order of events according to their dates in an organized form with the help of a timeline. This template helps us make this series of events presentable. Without the timeline, you may get confused about their series and it will also look jumbled. 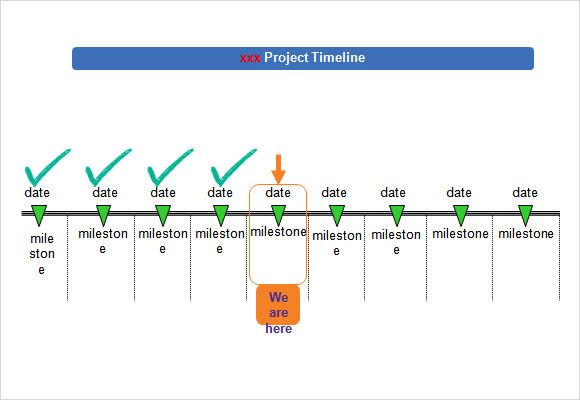 You can also use this template for inserting timelines in projects. It is very helpful in providing long series of events neatly. It also helps in remembrance of the events easily. This template can also be edited if desired to make it look even finer. You may like Event Timeline Templates. When is the Simple Timeline Template Needed? 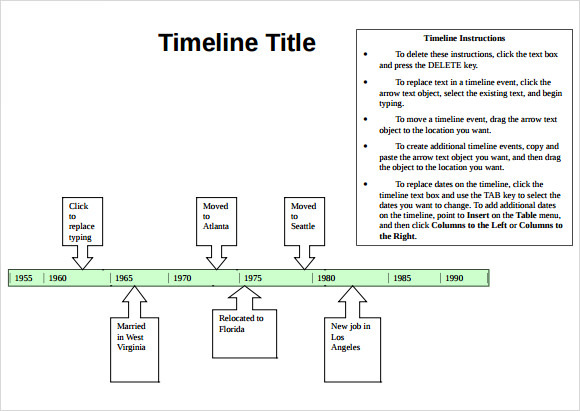 The simple Blank Timeline Templates is needed at the time of presenting the events according to their occurrence. It is also needed to make this series look presentable and understandable. The teachers can use it to make the students easily understand the chronological order of various subjects like historical events, life events of a writer or a mathematician. It can also be used professionally for depicting the various milestones already achieved and yet to achieve by a company or in a project. Not just by teachers, it can also be used by students to present the event according to their occurrence. The simple timeline template has many benefits. You can easily arrange the events according to their occurrence in the timeline with the help of this template. It is very beneficial in helping the students to easily understand the order of chronology of the events of a particular happening/topic. 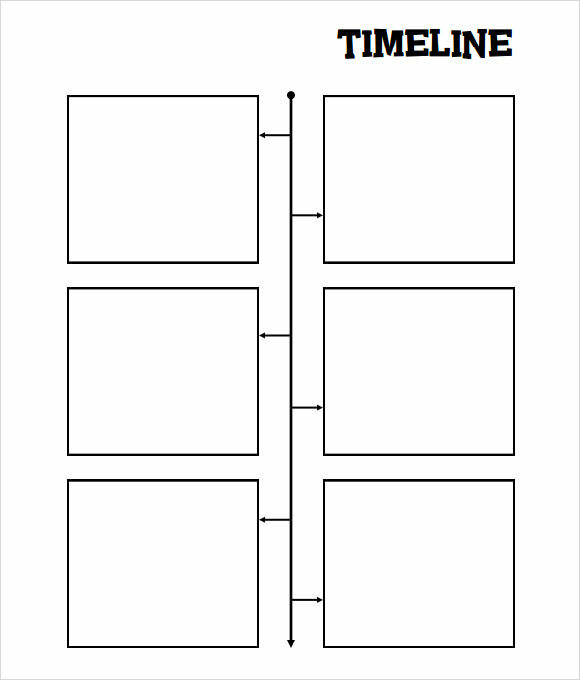 Students can also use this template to create the timeline on their own. It can be used for a variety of subjects like historical events, project management and more. You can also edit them if desired like you can enlarge or shrink the boxes, color them et cetera. 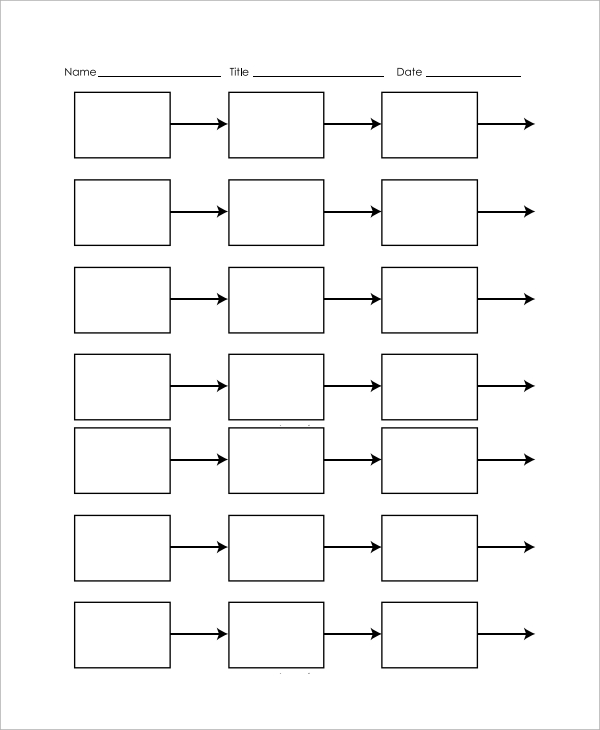 The simple timeline template is very easy to download from the internet. It has a user-friendly outlook and can be used effortlessly. There are many options available for you to choose from, you can choose the one that best suits your subject and data. It helps in saving a lot of time while giving you the best result.